I’m currently sitting in the DIS lounge trying to fathom how I have already finished my first session here in Copenhagen. It is hard to believe I am done studying human trafficking (but not really because the class has made me want to learn even more and get involved) and will now make the transition to learning about emerging markets. I’m very excited for this class because of the opportunity to travel to Riga and study the current economy/see how Latvia has integrated into the EU. 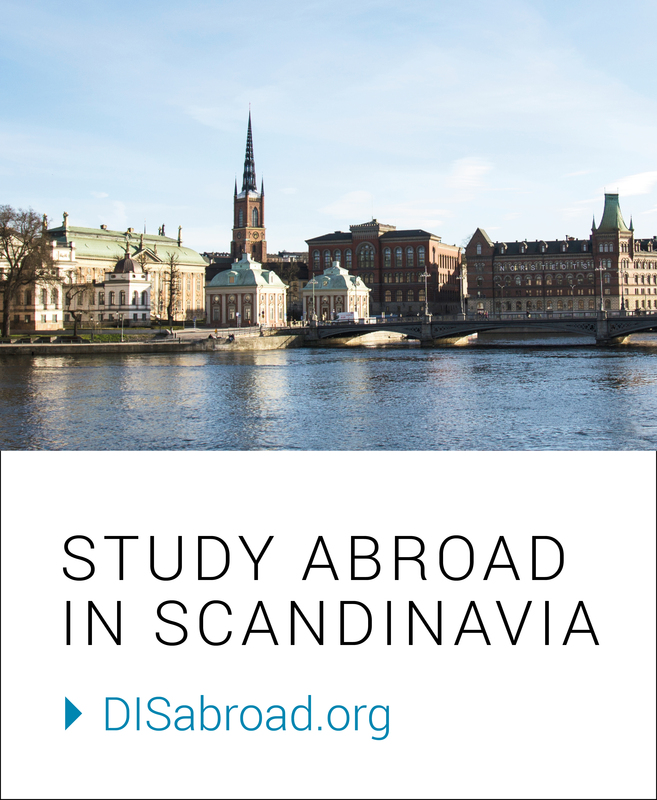 One of the best parts about being a DIS student is utilizing the environment, whether it is Copenhagen, Denmark, or surrounding countries, in order to really make Europe our classroom. With technically only 2 weeks left (one week spent on study tour), I am determined to finish my bucket list. One of my recent adventures involved a trip to the top of the Church of Our Savior or as I like to call it: the scary spiral church. As someone who is afraid of heights, it is intimidating look up and see people at the top of a tower with just a waist-high railing separating them from safety and a 90m (~300ft) free fall. I had heard the views were worth it though, and at the very least 400 steps is a good workout for someone like me who goes to the bakery everyday. 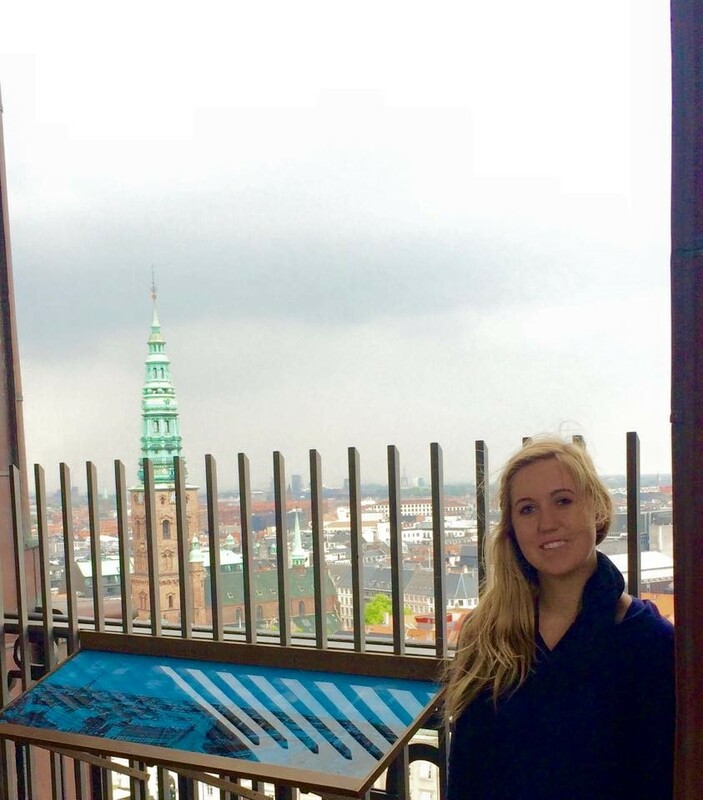 The corkscrew spire is terrifying to look at, but perfect if you want 360-degree views of Copenhagen. On a beautiful day after class, two friends and I made the trek up the church to experience first hand what Church of Our Savior is all about. By the time we got to the top, I was too tired and the view was so stunning I forgot to be nervous (we truly picked a perfect day). I’ve fallen in love with Copenhagen and I’m dreading the day I have to be torn away and head back to the U.S., but the best I can do for now is to take advantage of everything this city has to offer while I still can. I have become a much more adventurous person while in Copenhagen (especially when it comes to food!) and I am looking forward to trying even more new things in the coming weeks of session 2. 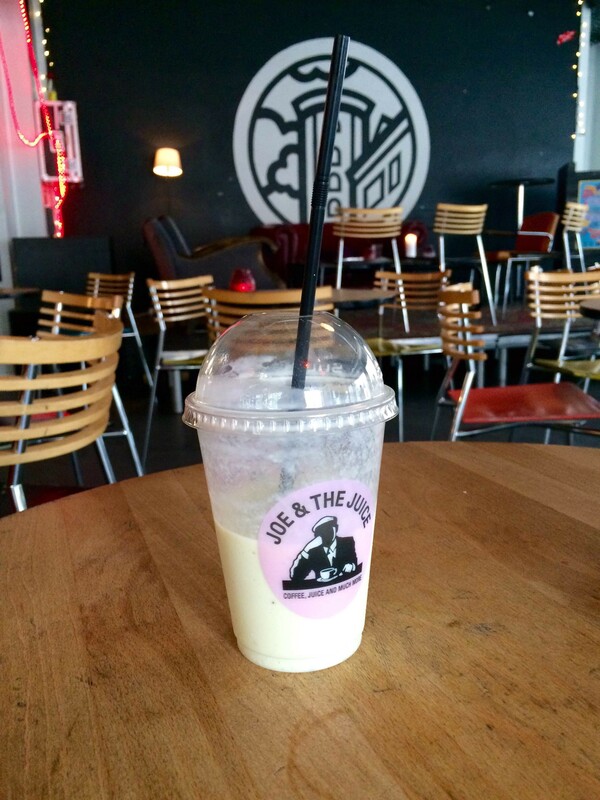 Eating an avocado-banana shake while studying in Studenterhuset.